The focus of Professor Stern's research is the study of analytic problems arising in geometry, topology, physics, and number theory. In recent work, Professor Stern has studied analytical, geometric, and topological questions arising from Yang-Mills theory, Hodge theory, and number theory. These have led for example to a study of (i) stability questions arising in Yang Mills theory and harmonic maps, (ii) energy minimizing connections and instantons, (iii) new Hodge structures on vector bundles, (iv) new bounds for eigenvalues of Laplace Beltrami operators, and (v) new bounds for betti numbers. 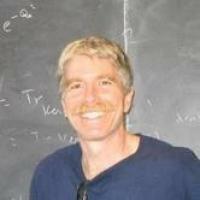 The focus of Professor Stern's research is the study of analytic problems arising in geometry, topology, and physics. In recent work, Professor Stern has studied analytical, geometric, and topological questions arising from Yang-Mills theory, string theory, and Hodge theory. These have led for example to a study of (i) stability questions arising in Yang Mills theory and harmonic maps, (ii) energy minimizing connections and instantons, (iii) new Hodge structures on vector bundles, (iv) the analysis of harmonic spinors on singular spin structures, and (v) non fredholm index theories and exotic fixed point theorems. Instanton Decay and Nonlinear Harmonic Forms, Simons Foundation, 3553857, 2015/09-2020/08. Bound states, singularities, and supersymmetry, NSF, 2002/07.